First Published: Fourth International [New York], Vol.IV No.10, October 1943, pp.318-319. Maurin  has issued the slogan: “All power to the proletariat.” I think you are quite right in pointing out that he has chosen slogans of this sort in order to provide himself with a bridge to the syndicalists and to lend himself the appearance of greater strength than he actually possesses. Unfortunately, the chase after appearances is very strong in politics, and very disastrous in revolutionary politics. I ask myself – at times – why are there no Soviets in Spain? What is the cause of this? In a former letter, I expressed several ideals in this con-nection. I have developed these much more amply in an article I sent you on workers’ control in Germany. 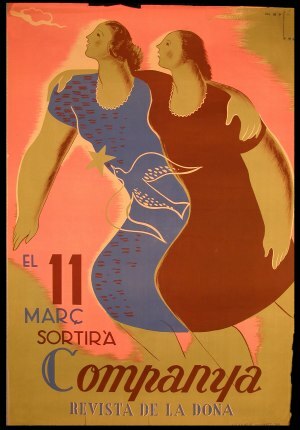 It appears that the slogan of “juntas” is associated in the minds of the Spanish workers with the slogan of Soviets; and for this reason it seems to sharp, too decisive, too “Russian” to them. That is to say, they look at it in a different light than did the Russian workers at a corresponding stage. Are we not confronted here with a historical paradox in that the existence of Soviets in the USSR acts to paralyze the creation of Soviets in other revolutionary countries? This question must be given the utmost attention in private conversations with workers in the different parts of the country. At any event, if the slogan of Soviets (juntas) fails as yet to meet with response, then we must concentrate on the slogan of factory committees. I dealt with this topic in the above-mentioned article on workers’ control. On the basis of factory committees we can develop the Soviet organization without referring to them by name. On the question of workers’ control, you are in my opinion absolutely correct; to renounce workers’ control merely because the reformists are for it – in words – would be an enormous stupidity. 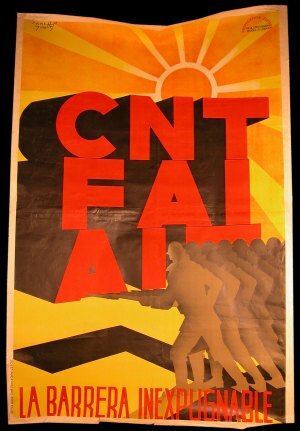 On the contrary, it is precisely for this reason that we should seize upon this slogan all the more eagerly and compel the reformist workers to put it into practice by means of a united front with us; and on the basis of this experience to push them into opposition to Caballero and other fakers. We succeeded in creating Soviets in Russia only because the demand for them was raised, together with us, by the Mensheviks and the Social-Revolutionaries, although, to be sure, they had different aims in mind. We cannot create any Soviets in Spain precisely because neither the Socialists nor the syndicalists want Soviets. This means that the united front and the or-ganizational unity with the majority of the working class can-not be created under this slogan. But here is Caballero himself, forced to it by the pres-sure of the masses, seizing upon the slogan of workers’ control and thereby opening wide the doors for the united front policy and to forging an organization that embraces the majority of the working class. We must seize hold of this with both hands. Certainly, Caballero will try to transform workers’ control into the control of the capitalists over the workers. But that question already pertains to another domain, that of the relationship of forces within the working class. If we succeed in creating factory committees all over the country, then in this revolutionary epoch that we are witnessing, Messrs Caballero and Co. will have lost the decisive battle.